A software engineer in Tokyo, made in Kyoto. I'm currently working on the core technology products for internal platform developers at Yahoo Japan Corporation. My first film camera was LOMO LC-A bought in 2002. I've been started to learn photogoraphy, arts, and design at the university in 2003. 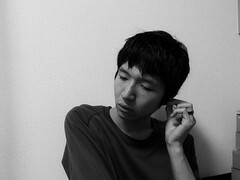 After graduation, I chose an unrelated work, but I keep taking photos as part of my life. Several photos are available on my Flickr, Instagram, and Medium. I joined GitHub.com and started to contribute to open source community in 2008. I learned many things how softwares built by the people and community in the world. See also my GitHub and Open Source Project section for more details as below.